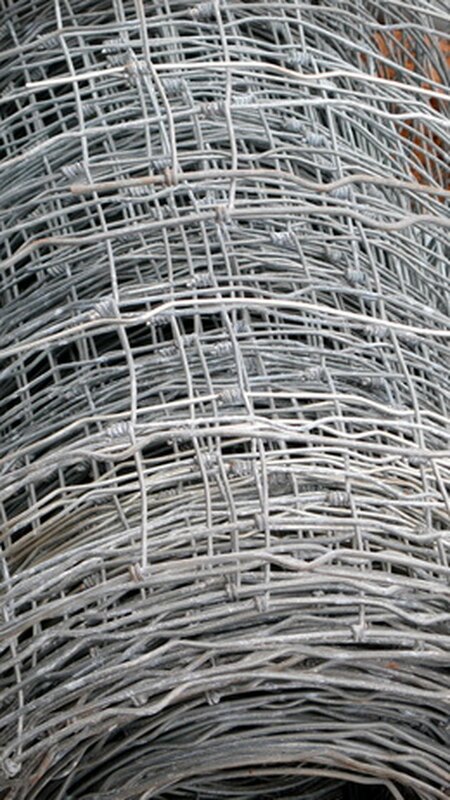 The term hardware cloth is a bit of a misnomer since it is actually a type of steel mesh that comes in rolls. It is used in a variety of ways, from sealing open areas of homes and buildings to erecting fences that keep animals out of vegetable gardens. Because the steel is sturdy, traditional scissors will not cut through it. Instead, use specialized cutters designed to cut through metal. Hardware cloth is made of steel. Lay the roll of hardware cloth onto the ground. Unroll the cloth so that you have a long section laying flat on the ground. Place the edge of a tape measure against the free end of the hardware cloth and stretch the tape measure to the correct distance. Mark the measurement with a marker. Cut the hardware cloth at the marked line, using wire aviation snips or wire cutters. Make the cut as close to one of the vertical wires as possible to avoid having ragged horizontal wires sticking out of the side.